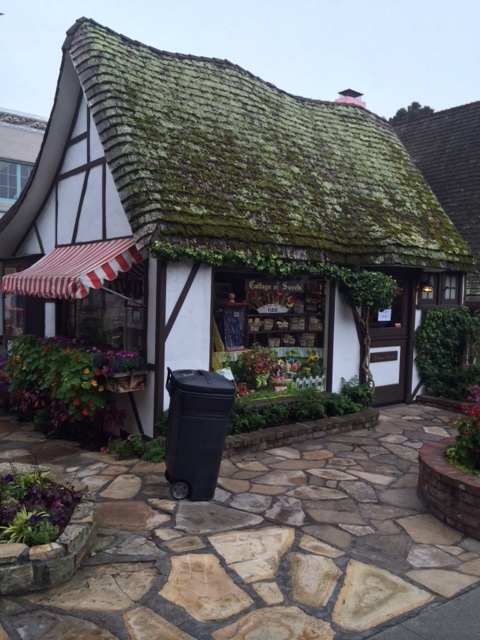 Carmel-by-the-Sea is just one square mile but there’s a lot to do here. On a recent press trip to this bay village, I dined at fine restaurants, looked around in specialty shops, followed a wine walk, and hit the beach! 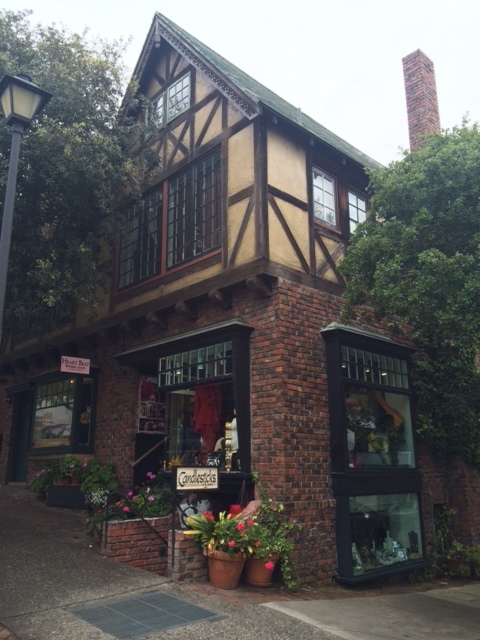 Founded as an artist’s colony, Carmel-by-the-Sea has its charm and quirks. For one thing, there are no street lights or street numbers. It’s also against the law to wear high heels in public. But this village by the bay is pretty pet-friendly and has had poets and actors like Clint Eastwood as mayor, so it evens out. You can spend a day or a few days in Carmel-by-the-Sea. Here is my list of what to do and see here. Head to Carmel Beach. 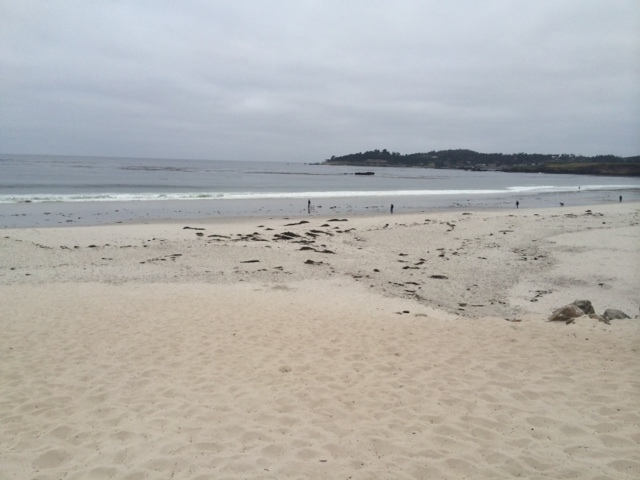 At the base of Ocean Avenue, Carmel Beach can be a bit of a walk depending upon where you’re coming from. You head all the down the street to get to this off-white sandy beach, but the trek is worth it. I was there on a cooler day so I just dipped my feet in the water and took a good leisurely stroll. As with around town, Carmel Beach is a pet-friendly place, so you’ll run into dog owners on the sand. 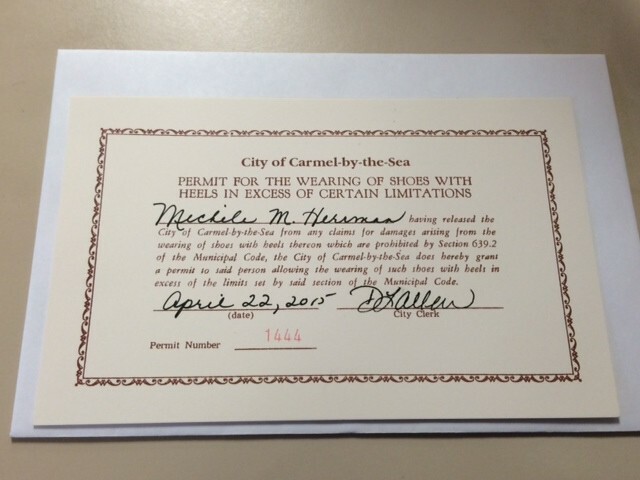 Get a permit to wear high heels. Why no heels? This ordinance was enacted because of uneven roads and concern over possible liability lawsuits. But you can get around this ban by applying for a permit. It makes for a fun souvenir. Head to Town Hall and fill out an application from the Clerk’s office. Pull out your ID and the staff will authorize your permit and keep a record of it on file. 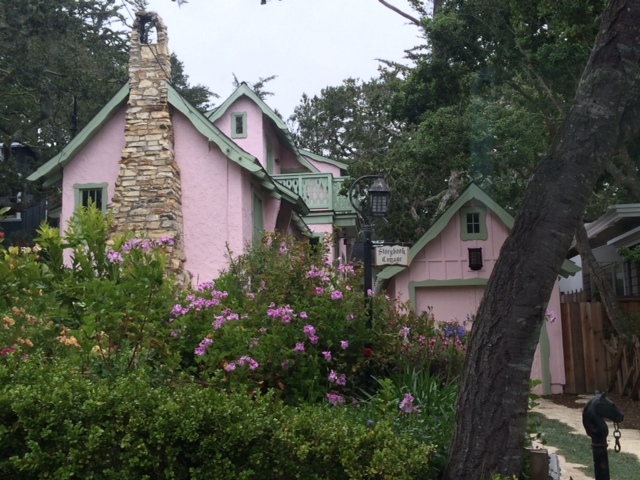 See the fairy-tale Comstock Homes. Back in the 1920s, architect Hugh Comstock designed a number of English-style country homes for people, which looked like something out of a storybook. Twenty-one of them are still around, but they’re mostly private residences. You can see them only from the outside. The bulk of them are mainly on Torres Street and Sixth Avenue and then on Ocean Avenue near Santa Fe and Saint Rita streets. These homes can be tricky to get to on your own, so you might want to see the two now being used commercially on Dolores Street instead. Take a walking tour. 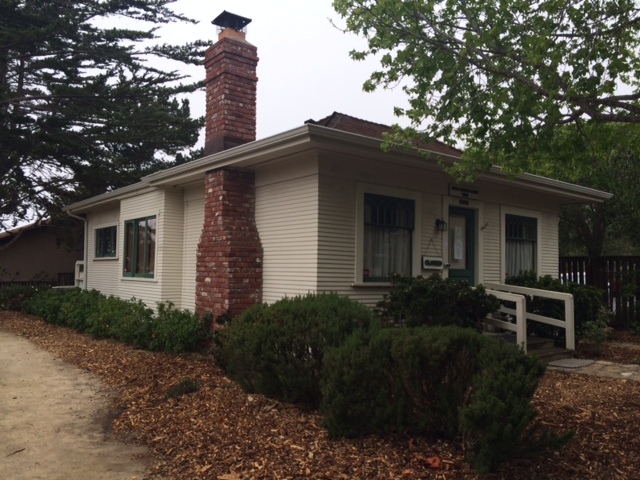 Learn more about this Carmel-by-the-Sea’s history through Carmel Walks. The tour company’s guides will take you around the village and might make stops at Town Hall, one of the Comstock houses or even an alleyway where a scene from Eastwood’s “Play Misty for Me” was filmed. Go on a wine tasting walk. Carmel-by-the-Sea’s “Wine Walk” consists of 14 tasting rooms that can be visited at your own pace. They also belong to a Wine Walk Passport program, which you can pick up a pass from the Chamber of Commerce. 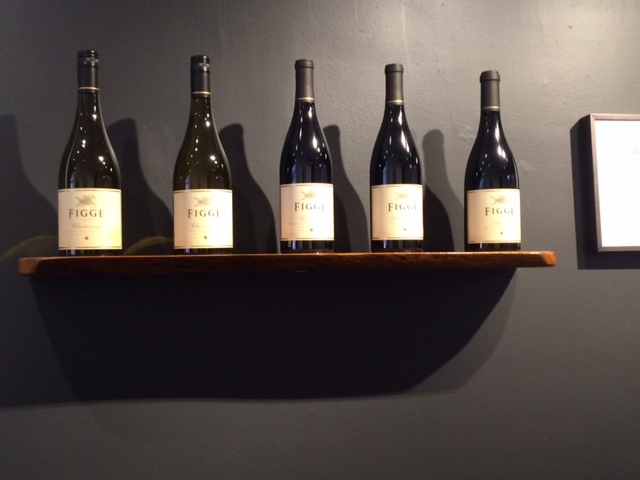 Tasting rooms include Wrath, whose wines come from the Santa Lucia Highlands; Scheid Vineyard, with its main location in Salinas Valley; or Figge Cellars, a boutique winery based inside an art gallery. Have dinner and drinks at Cypress Inn. This pet-friendly boutique hotel is jointly owned by actress and resident Doris Day, so you’ll see a lot of Day’s movie memorabilia near Terry’s Restaurant and Lounge. And spot some four-legged guests. While you’re here, order a cocktail from the bar. The menu reflects Hollywood’s Golden Age — and the drinks flowing during that period. Orders include Mai Tais, Moscow Mules and Pisco Sours plus a selection of fine rum, gin, brandy, and cognac. Stay for a meal as well. 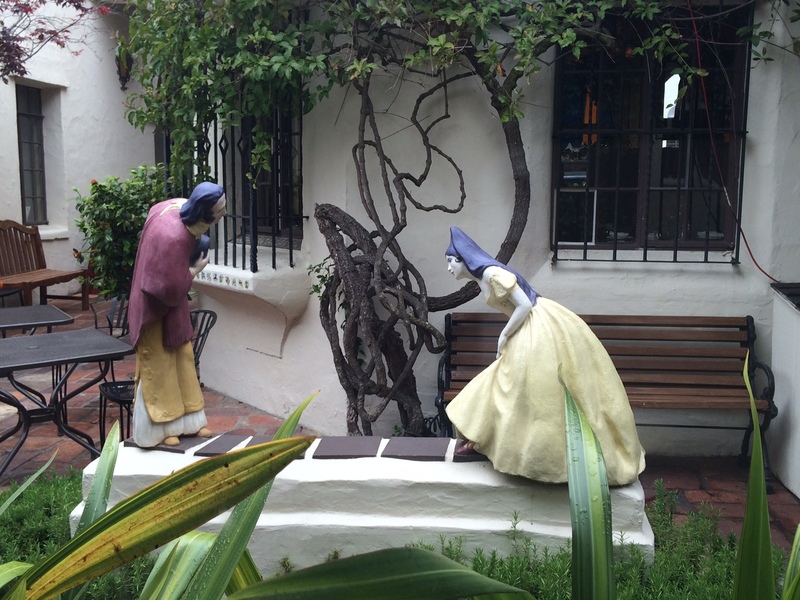 Visit Carmel Mission. This Spanish style mission church from the late 1700s is a heritage site with an active parish. You can visit the Basilica church, which is a National Historic Landmark, and the museum. Carmel Bakery. 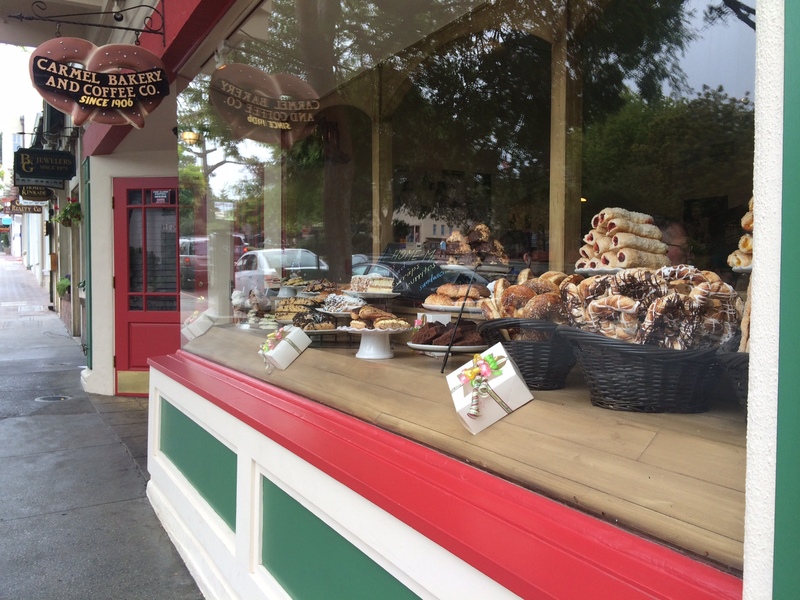 Just looking at the goodies in the display window of this quaint bakeshop makes you want to step inside this place. In business since 1906, this bakery/coffee shop offers well-sized European style pastries such as cannolis and eclairs and their best-seller chocolate macaroons. Casanova Restaurant. This romantic restaurant was once a private home for Aunt Fairy Bird, who was Charlie Chaplin’s cook. Drawing from the French and Italian countryside, the menu features various croques, pasta, seafood and meat dishes plus some Belgian ones like pomme and moules frites. Take a look at the room built to house “Van Gogh’s Table.” The painter ate his daily meals at this table while living at a boarding house in Auvers Sur-Oise, France. La Bicyclette Restaurant. This place uses Old World techniques to craft a daily-changing menu. Breakfast, lunch and dinner options are available. Their thin crust pizzas are made in a wood-fired Mugnaini oven and the flavors blend nicely. 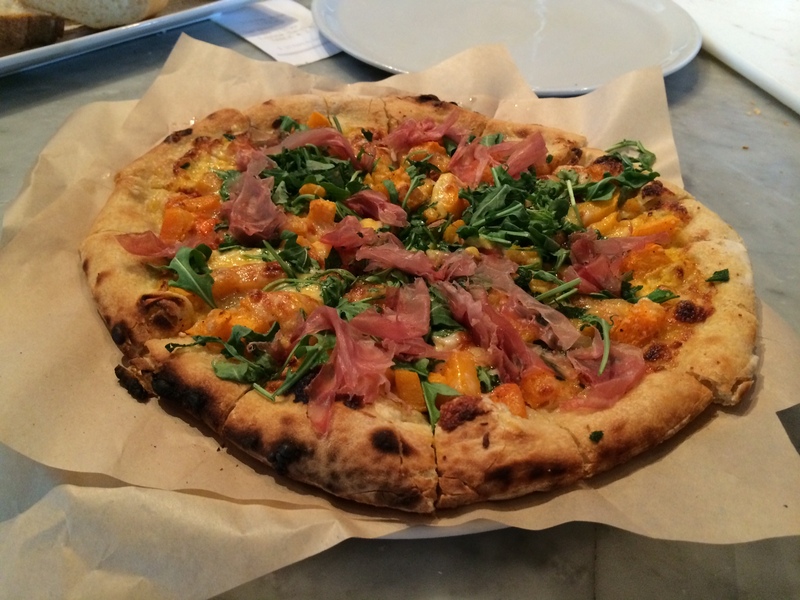 Order the Butternut Squash one that is also graced with arugula, sage, gruyere, and speck ham. The Local Champignon gets topped with portabellas, oyster mushrooms, mozzarella, thyme and a caramelized onion puree. Little Napoli. 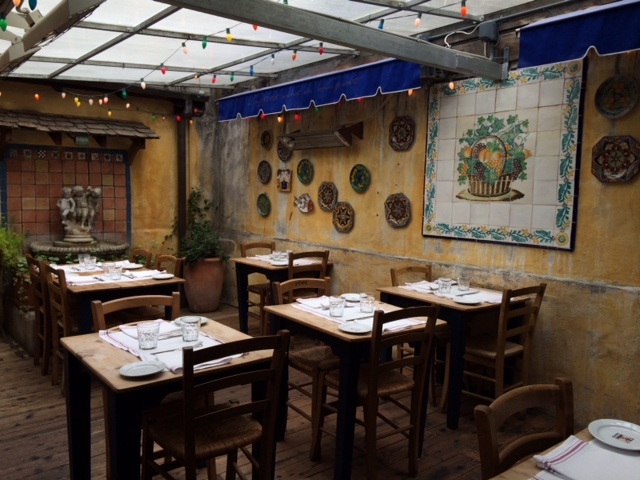 This Italian bistro has cozy quarters for serving rustic dishes such as antipasti, pizza, pasta and risotto based on the owner’s family recipes. Even the garlic bread is made from a century-old method. 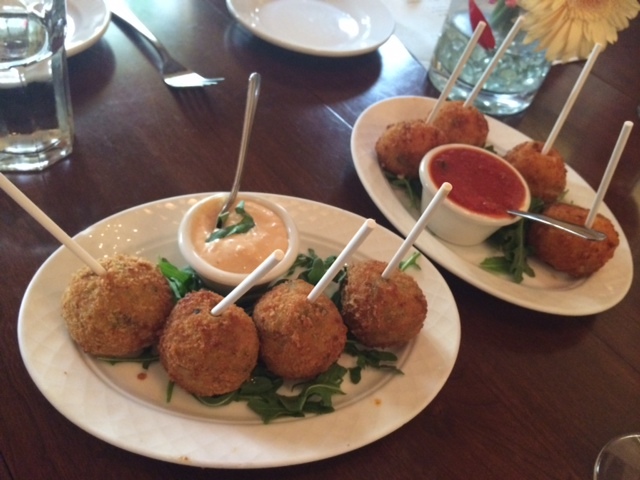 For starters, find lollipop twists on arancini, meatballs and fried artichokes. 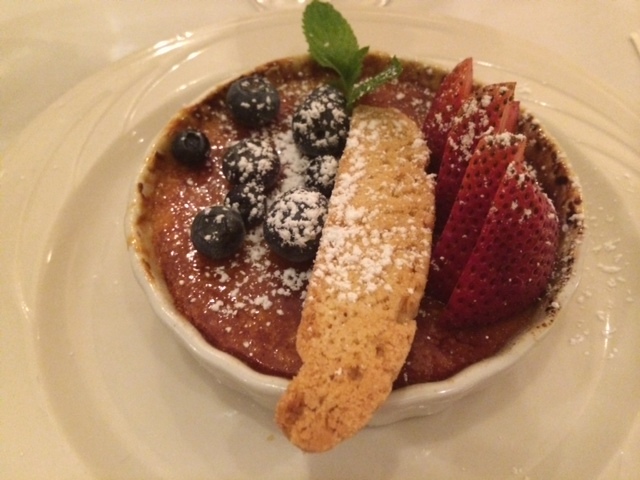 Consider their baked truffle gnocchi or try the “Hobo Stew.” Lunch, dinner, and children’s menus are available. Trio Carmel. 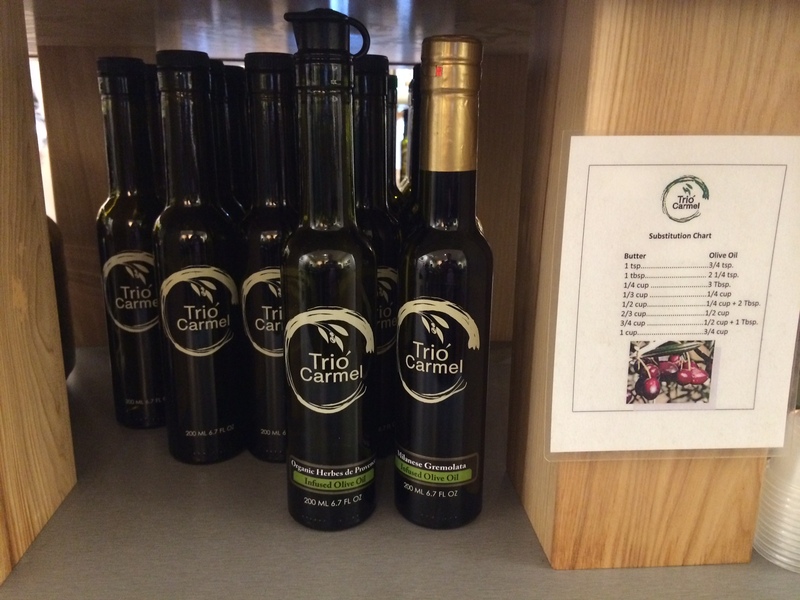 This specialty shop carries premium olive oils and infused olive oils with flavors such as Persian lime, blood orange, wild mushroom and sage, and garlic. Find traditional and flavored white and dark balsamics sourced from Modena, Italy as well. The shop also holds wine tastings featuring Monterey County vintners. Olive oil tastings are also offered. 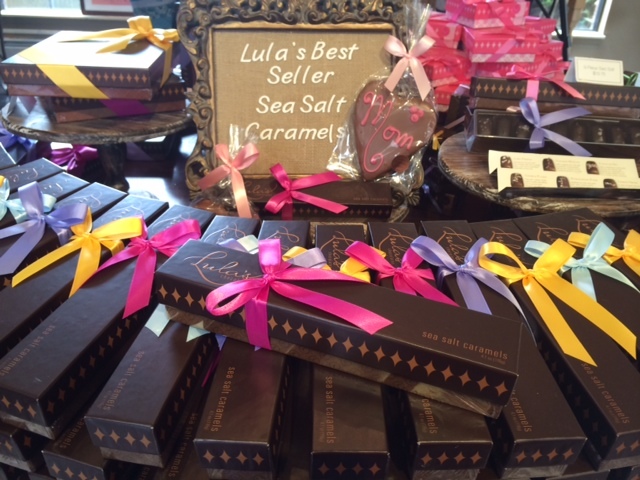 Lula’s Chocolates. This sweet store features handmade caramels and chocolates made at its production factory in Monterey. Find toffees, buttercreams, nut clusters, sea-salted caramels, truffles, and boxes of assorted chocolates. Disclaimer: Though I was a guest of Visit Carmel, every suggestion in this story is based on my opinion. 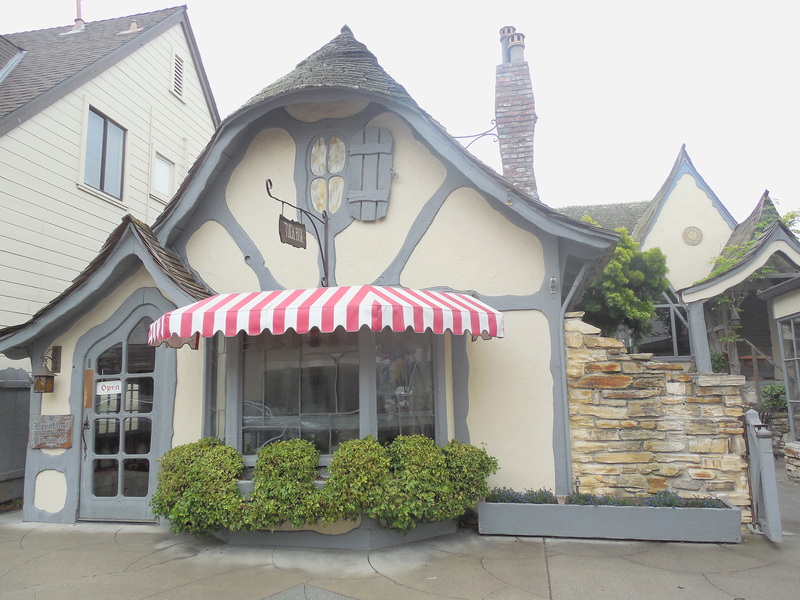 This entry was posted in California, Carmel-by-the-Sea, Culinary, Historic Places, United States and tagged Carmel Beach, Carmel by the Sea restaurants, Carmel-by-the-Sea, Visit Carmel, What to do in Carmel by the Sea on May 15, 2015 by She Is Going Places.